Having a sort-out one afternoon, I decided to use up various bits and bobs I had and turn them into our evening meal. I had recently seen a delicious recipe on The Juicy Health Company using chickpeas which prompted me to dig out a tin of these versatile peas and incorporate them into a dish. 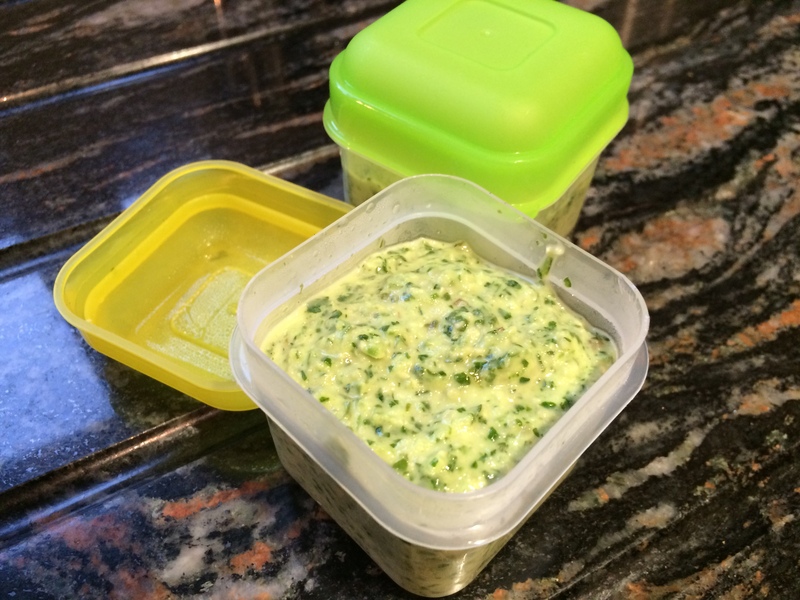 The result was really filling and tasty and the bonus was that I now have two tubs of pesto in the freezer for use on another day. In a food processor, blend the pine nuts and garlic clove. Add the coriander and pepper and process. Add the lime juice, olive oil and seasoning to taste. Blitz until blended. I had one large courgette and one sweet potato which I turned into noodles (or zoodles) with my spiralizer. I added a can of drained and rinsed chickpeas and sautéed these quickly over a high heat. I then stirred in one tub of pesto and served it on a plate of rocket, baby tomatoes and avocado. So simple, yet so tasty and filling. The pesto could be made with almost any nut/herb combination and the noodles could be carrot, courgette, sweet potato etc. 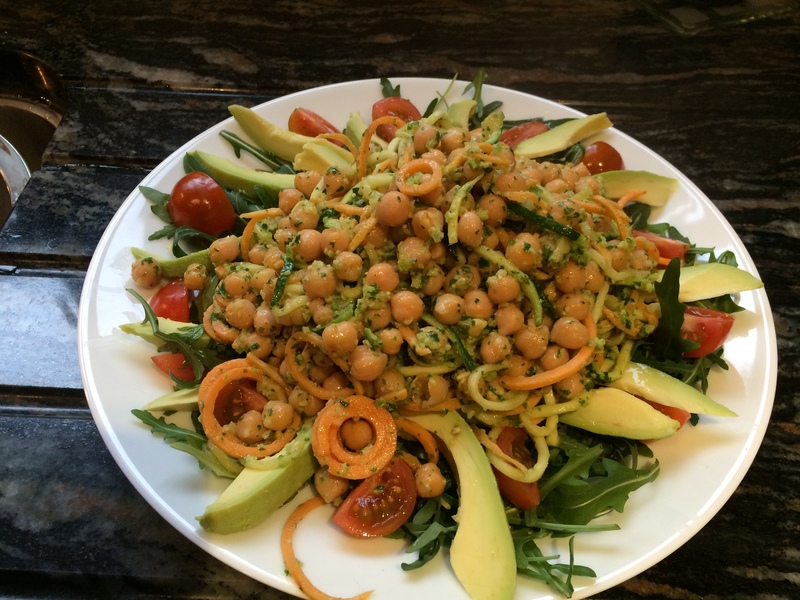 This entry was posted in Brunch, Dinner, Lunch, Salads, Vegetarian and tagged Avocado, Chickpeas, Courgettes, Dinner, Gluten Free, Healthy Eating, Lunch, Pine Nuts, Salad, Sweet Potato, Vegetarian, Wheat-Free. Bookmark the permalink.